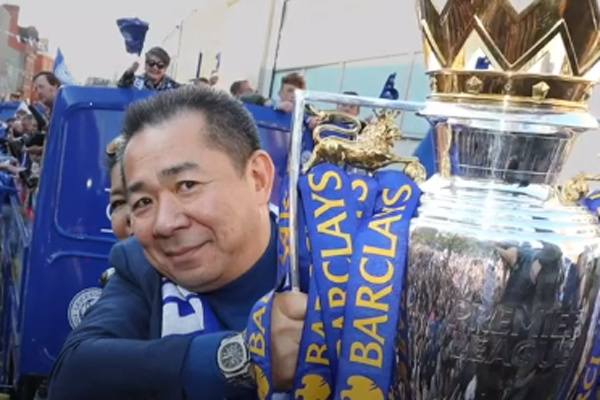 Thai billionaire and owner of Leicester City FC died when his helicopter crashed outside the stadium, the club has confirmed. Vichai Srivaddhanaprabha, two members of his staff, the pilot and a passenger were killed when the aircraft crashed at about 20:30 BST on Saturday, a BBC report said. Vichai, 60, who was married and had four children, bought Leicester City for £39 million in 2010. Under his ownership the club won the Premier League in 2016, having started the season as 5,000/1 outsiders. The club described Vichai as "a man of kindness, of generosity and a man whose life was defined by the love he devoted to his family and those he so successfully led".